Valentine’s Day is this coming Saturday. Flowers and chocolate are ways to get to a girl’s heart, but you can win her entirely with jewelry. Let’s highlight some bestsellers and fantastic deals in our Valentine’s Day Gift Guide. 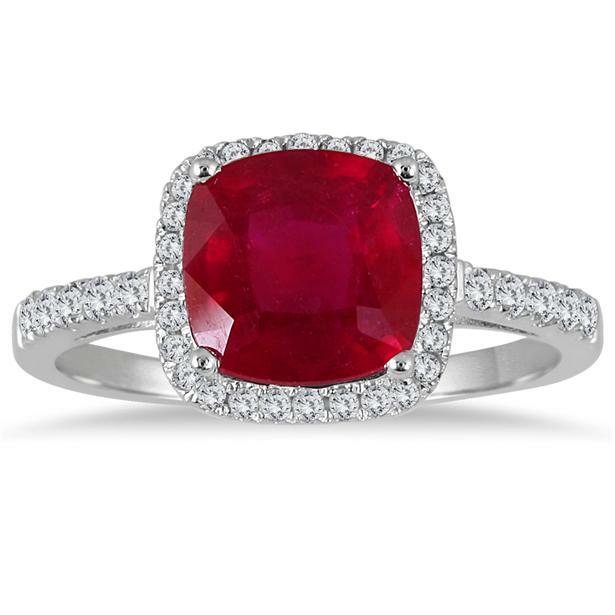 One eye-catching spotlight item for the season is this 3 Carat Cushion Cut Ruby and Diamond Ring, set in .925 sterling silver. This stylish ring celebrates romance with a brilliant red cushion cut ruby surrounded by 38 sparkling diamonds in a halo ring setting. An ideal combination of bold visuals and classic appeal, this ring is available at 74% off in the Valentine’s Day sale. 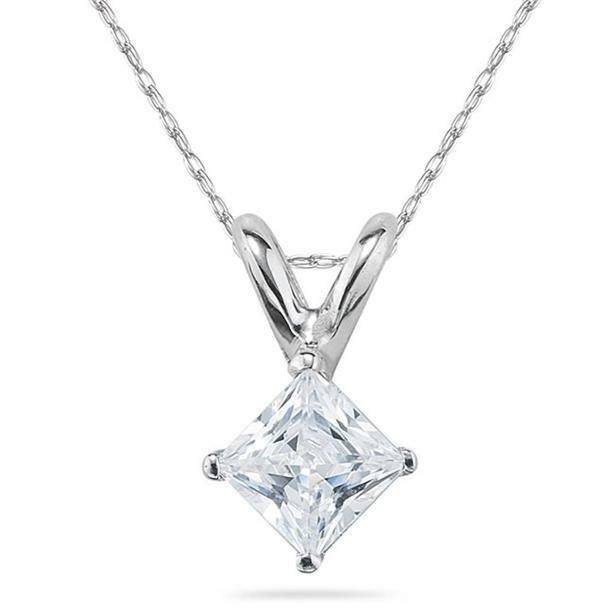 For a more elegant look, the sale also includes this ⅓ Carat Princess Diamond Solitaire Pendant in 14k white gold. This necklace is a fitting accessory for more sophisticated outfits and a style essential at more formal events. With a 70% discount, the pendant is as affordable as it is striking. Our Valentine’s Day Gift Guide provides customers with multiple incentives that make shopping truly rewarding, including free standard shipping and delivery by the 14th. Shoppers can browse gifts for a specific budget or search the gallery for items that feature particular precious stones. Visit Valentine’s Day Gift Guide to view the best deals for your loved ones, or send the guide to a significant other to provide some gift-giving inspiration. There are more deals and new surprises in store this season. Follow us on Facebook, Twitter, Instagram and Pinterest for the latest promotions. This entry was posted in Blog Posts, Sales and tagged Anniversary, Beautiful, Diamond, Diamonds, Fashion, February, Gemstones, Gorgeous, Holiday, Jewelry, Love, Marriage, Necklaces, Pendants, Pretty, Proposal, Rings, Valentine's Day. Bookmark the permalink.